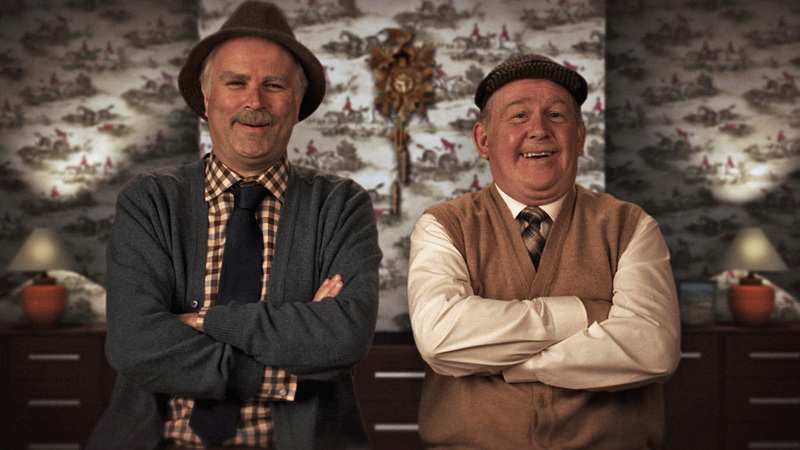 Still Game’s Greg Hemphill and Ford Kiernan film the sitcom’s final series. 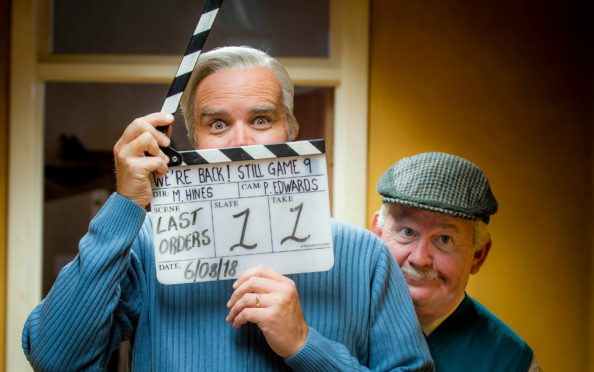 Still Game creators Ford Kiernan and Greg Hemphill say they learned a lot from the final episode of another classic comedy when they were writing their own show’s last laughs. The farewell episode of the duo’s Craiglang sitcom airs this week but, they reveal, another Scots double act showed them what not to do. They learned how not to wrap things up when watching the final episode of BBC favourite One Foot In The Grave starring Richard Wilson and Annette Crosbie. Ford, who plays Jack Jarvis, said: “Everyone is asking if we’re going to kill them off, or do this or that with them. “I think when you have an audience in that position you’re in a good place – they’re all sitting paying attention. “I remember being quite upset when One Foot In The Grave finished. They killed Victor in the street and I thought it was desperate. “Victor was standing there in the rain and the next thing his bunnet was lying in the puddle. “I don’t think that’s the right sort of idea for us. The pair admit their approach to the final episodes of the current series was different from previous runs. For one thing, they’ve already called a bluff on the demise of a character, with Tam (Mark Cox) staging his own death in a two-part episode so Winston (Paul Riley) could go private with an operation to save his only leg. A select few have already seen the final episode at a special screening in Glasgow’s Cineworld to record audio for the live audience response. It remains to be seen whether the microphones picked up the sobs from the crowd – or the cast. Greg said: “I remember turning to Gavin Mitchell (Boaby the barman) at the end and his eyes were filling up. But I was like a numb alien, looking at this man being a human. For director Michael Hines, who has directed every episode of Still Game on TV, as well as two runs of the live shows, the series’ legacy is in its message about society. 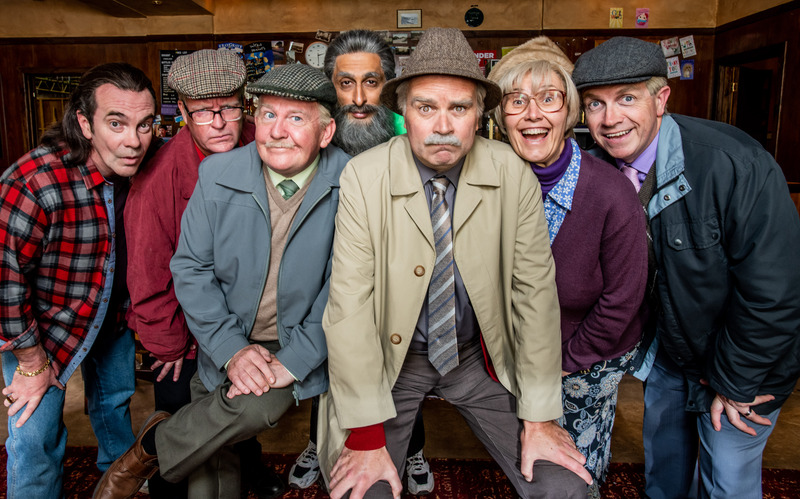 “Still Game has always been about warmth, relationships and raging against the dying of the light. Old people tend to do that,” he said. “Back in series two, the boys had a scene when they asked what age they felt in their heads. They said about 33. I thought it was fine, even though they were playing 75. “If I asked my grandfather, he wouldn’t have said 70 or 80, he’d have said his 40s or whatever. We forget that when we’re younger. You look at old people and think, ‘all the same’. We lump them all together. “They’re not, they’re massively individual. The beauty of Still Game is that they all have their own individual qualities. “I remember the episode with the hypothermia derby, which is just one example of how the scripts addressed political issues. “Old people don’t just sit there going, ‘I’m terrified I’m going to die of the cold’. They joke about it, even if they are terrified. “The point is they’re individual characters, not just old people. The show has reminded people that older folk are individuals in their own right. And that’s brilliant. “And another thing it has done is reconnect the generations. There was also the episode Family, when Victor phoned his son. People came up after that went out and said it made them phone their grandad.